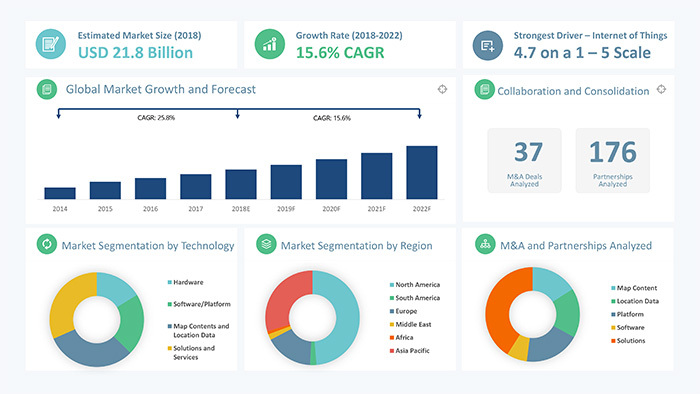 The 'Location Intelligence Market' report presents a comprehensive understanding of the location intelligence solutions market, user categories of location intelligence, the market size and growth of the entire ICT market, Mergers and Acquisitions and Partnerships, and the global policy landscape driving the location intelligence market globally. How is the convergence of Geographic Information Systems (GIS) and Location Intelligence (LI) shaping today? How are LI solutions being utilized for generating Business Intelligence? How big is the LI market? Which are the most significant regional markets for LI solutions? What is the global market size of ICT, Internet of Things, and Artificial Intelligence? What are the top factors driving Partnerships in the LI market? Which are the top application areas likely to witness exponential growth for LI solutions? How is the global policy landscape for the LI solutions market to develop? What are the challenges being faced by the LI industry? 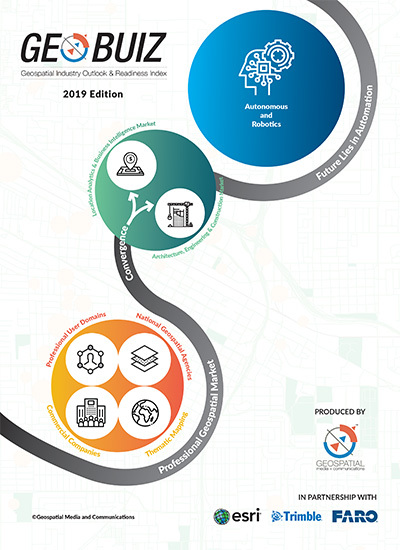 Get your copy of the Location Intelligence Market report today!